The answer is yes you can make over KES 50,000 in 30 days through sports betting from KES 100.We call it the 30 day challenge and all it takes is 1.5 odds daily compounded. 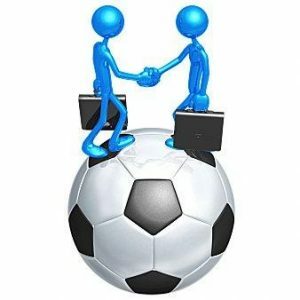 The biggest aspect hindering 99% of bettors from profiting through sports betting is sheer greed.They look for 500 odds which they want to stake KES 50 so that they can make an easy KES 25,000 quick and easy.It doesn’t work like that boys and girls.By the fact that sportpesa makes billions a year and can afford to sponsor a formular one team i repeat “A FORMULAR ONE TEAM” goes to show you that the game favours bookies more that it favours you. Solution,play it smart,play it mathematically.One or two games totaling an odd of 1.5 odds has a higher chance of going through 5 to 6 days of the week as opposed to 25 games totaling 500 odds which might never go through in your lifetime. With compound returns and rollover of stake and profit one is able to make KES 50,000 or more from just a bank of KES 500.Yes we said KES 100 but the other KES 400 is called back up stake just incase there is a one or two day bad run. We are not spewing horse manure here,we have customers who have actually made more than KES 30,000 in 20 days from an initial float of KES 200. Guaranteed congratulatory message from sportpesa. Mixed markets to increase your chances. Games spread over several days to increase your chances and minimize risk. No delay.Tips sent automatically and immediately once payment is received. 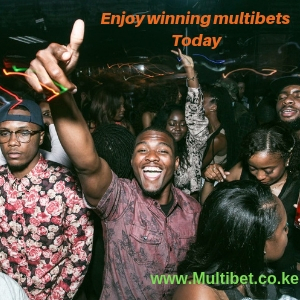 We are all about well researched multibets and well analysed mega jackpots .We give out free multibets so that you can buy our well analysed mega jackpot tips .